Mass Effect Andromeda has a multiplayer element, and in our humble opinion, it’s awesome. Instead of going head to head—which we secretly hoped for—players must work cooperatively to take out wave after wave of brutal alien forces. 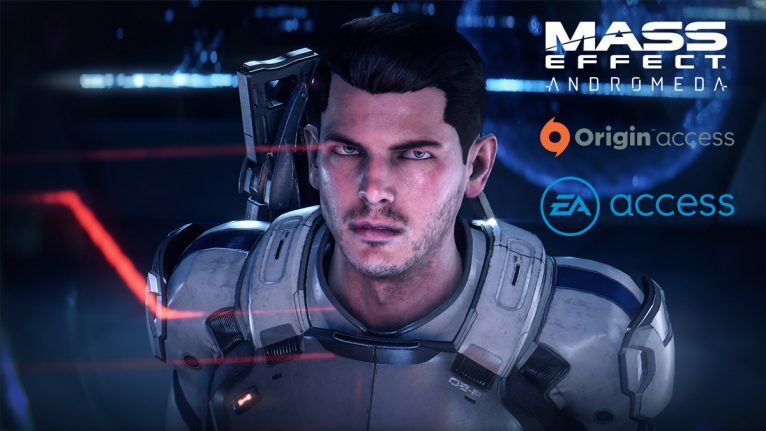 Players must also complete objectives for the Andromeda Initiative while killing enemies. Mass Effect Andromeda. Image Copyright EA. Even if you carry out the task first, you must kill all of the enemies in the wave to move forward. The maps, objectives, and difficulty vary, but they all stay true to the flavor of Mass Effect as a whole. Players choose between four different difficulties, and from easiest to hardest they are: Bronze, Silver, Gold, and Platinum. This article discusses our Internet speeds while playing multiplayer. We conducted several speed tests at two different times of the day using two different speed test tools: our very own at Bandwidth Place and another service. We are running on Spectrum, which advertises a minimum of 60 Mbps for our particular internet package. During Multiplayer Gameplay, 12:15 p.m. – 1:30 p.m. There was a pretty big difference in numbers with every test, but we were surprised that the last speed test on the competing site did drop around the same time as BWP. Even though there was a significant difference in the numbers, we were having virtually no noticeable lag during gameplay. We played pretty early in the morning as well (or late at night, depending on how you see it), and ran a few speed tests to see if there would be a big difference in speeds. Here are the results. Imagine our surprise when we saw speeds up to 91.69 Mbps before playing! Especially since our internet speeds are typically around 35 Mbps – 60 Mbps (with 60 being our supposed minimum). Spectrum was definitely surprising us. Unfortunately, they did not last through gameplay, but the speeds were still better overall than they were at noon. During Multiplayer Gameplay, 1:15 a.m. – 2:30 a.m. The speeds during gameplay were also very good, and only dropped about 5-25 Mbps, depending on the testing site and time. That’s definitely not bad. The only conclusion we determined is if you want the best Internet speeds and performance while playing multiplayer co-op, you should play late at night – Midnight or later. While your own speeds vary based on your location, bandwidth throttling, ISP, Internet package, and other variables, expect those speeds to go up late at night.